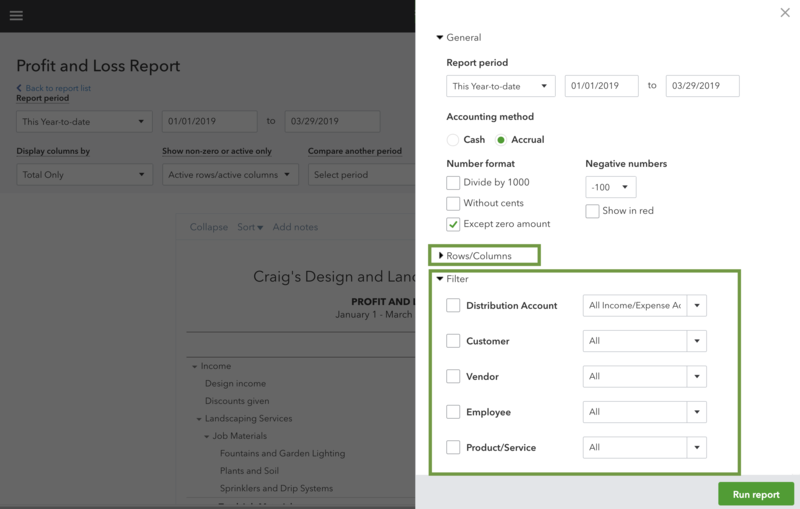 Learn how to use custom fields to organize and track data in QuickBooks Online Advanced. Custom fields let you track specific data across your sales forms, purchase orders, and customer profiles. You can create custom fields to track everything from sales reps to special customer information. You can also use your custom fields to organize lists, narrow search results, and filter financial reports. This helps you track specific details that are important to your business. Organize your invoice, customer, and expense lists so they’re easier to read. For example, you can sort your invoices by sales rep to see which transactions each one worked on. 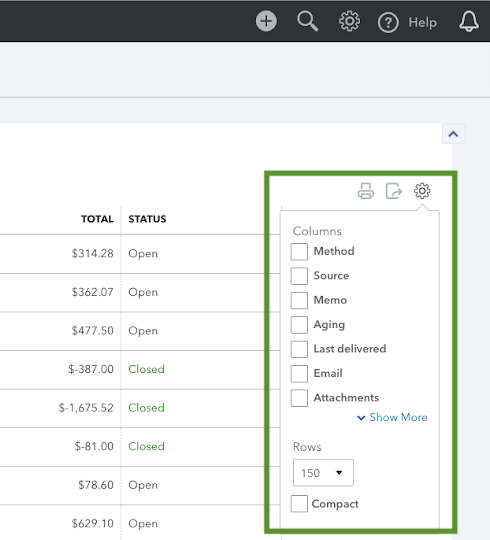 Select the Sales or Expenses menu from the Navigation Bar. Go to the Invoices, Customers, or Expenses tabs. Select the Gear icon on the list (not the Gear menu in the Icon Bar). Select the checkbox next to a custom field to add it as a column. Select the Custom Field column header to sort the list alphabetically. See every transaction using a specific custom field. For example, if you created a customer loyalty program custom field, you can search for all transactions using it. Select the Search (magnifying glass) icon. Type the custom field name. To see a list of your active custom fields, select the Gear icon from any page and then select Custom fields. Select a transaction from the search results. To see the full list of transactions, select Advanced Search. Select the custom field from the drop-down menu next to the Contains or Equals field. Then select Search. Use custom fields to filter your reports to focus on specific details. For example, if you only want to see sales on Profit and Loss reports by sales reps, you can apply your custom field as a filter. Select the Reports menu from the Navigation Bar. Open a report from the list. Select Customize in the header. In the Customize Report window, scroll to the Filter section. Select the box for the custom field you want to use as a filter. You can also add custom fields as columns on reports. In the Customize Report window, scroll to the Rows/Columns section. Check the box for each custom field you want to add. Note: You can’t use inactive custom fields to filter reports. To see which of your custom fields are active, go to the Custom fields menu.